Little progress. The Galaxy Tab 2 series represents Samsung’s revision to its successful Galaxy Tab family and features models in 7.0 and 10.1 inch sizes based on Android 4.0. Upon review, we found that the revamped devices cannot compete with other current tablets. It was not long ago that Korean manufacturer Samsung released its last tablet, the Galaxy Tab. At the time, Samsung was entangled in a legal dispute with Apple and its tablet was the subject of a sales ban in Germany. In order to satisfy the conditions of the sales ban, Samsung modified its Galaxy Tab, now designated the Galaxy Tab N, and released it for sale. In a previous article, we reviewed the 7 inch Samsung Galaxy Tab 7 Plus N.
This time, Samsung releases the new Samsung Galaxy Tab 2 which comes in 7.0-inch and 10.1-inch formats. These new tablets borrow the appearance of the previous Tab N family and, as such, should be immune to future Apple lawsuits. The Tab 2 family does not bring any new revolutionary features to the table but remains a solid midrange tablet. The most noticeable upgrade is the latest Google operating system, Android 4.0 Ice Cream Sandwich (ICS). The Tab 2 also features a Texas Instruments (TI) dual-core processor, 16 GB memory, a 1280x800 Plane Line Switching (PLS) display, and Evolved High-Speed Packet Access (HSPA+) support. Compared to the 10.1-inch Tab N, the differences are largely limited to the TI processor in the Tab 2 whereas the Tab N used an Nvidia CPU. The 10.1-inch Tab 2 carries a retail price of 599 Euro ($749 USD). Changes from the previous model are very subtle. In this section, we will refer to the device as used in the landscape orientation. It goes without saying that Samsung wished to avoid new lawsuits from Apple which might result in a new sales ban. It is therefore understandable that the Korean manufacturer essentially reused the design of its Tab N models for the Tab 2 line. As is typical for the automotive industry, the Galaxy Tab 2 has essentially received a facelift and the subtle modifications may not be immediately recognizable. The speakers on both edges are a bit larger. The brightness sensor for automatic brightness control is not immediately visible. Otherwise, the front face is largely unchanged. The display remains encapsulated by a black glass bezel surrounded by a titanium-colored strip. The underside is fabricated from a silver-gray plastic. The result is a smooth backside that unfortunately does not provide grip and is very prone to scratching. By contrast, the glass surface is resilient but attacks fingerprints and dust. The 10.1-inch Galaxy Tab 2 demonstrates excellent workmanship as was the case with the previous generation. Nonetheless, the plastic case remains inferior to a metal or polycarbonate unibody case. The 10.1-inch tablet has a weight of 585 grams (1.3 pounds), respectable when featuring a 3G module. The 257x175 millimeter (10.2x6.9 inch) dimensions are also pleasantly compact. The thickness remains less than 10 millimeters (0.4 inches). The lack of physical keys helps to prevent operation errors. One expecting Samsung to include major innovations for its latest tablet will undoubtedly be disappointed by the 10.1-inch Galaxy Tab 2. We have noticed that Samsung remains very conservative when updating its designs. The Tab 2 once again features a 1 GHz dual-core CPU as the centerpiece of the device. However, this particular model uses the Texas Instruments (TI) OMAP 4430 with an integrated PowerVR SGX540 as opposed to the previously used Nvidia CPU or an in-house purpose-built CPU. The OMAP 4430 is a commonly used CPU for tablet-class devices. This suggests that uncompromising performance was not on Samsung’s to-do list. We found the 1 GB RAM to be sufficient but felt the 16 GB internal memory was a bit limiting. Fortunately, Samsung retained the microSD slot, allowing the internal storage to be expanded easily and economically by up to 32 GB. As was the case with the previous generation, the Galaxy Tab 2 has limited interfaces. There is no dedicated USB or HDMI port as the interfaces are limited to the standard headphone jack and the multi-purpose port. 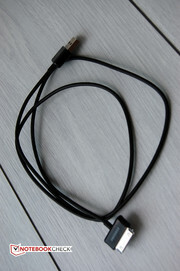 The latter is located on the tablet’s bottom edge and is used to connect both the power supply and the USB 2.0 data cable. A matching adapter is required for external display via HDMI. As mentioned previously, the left and right edges are completely free of ports and controls. The power button has been moved to the far left side of the top edge and is trailed to the right by the volume rocker and the microSD slot. The headphone jack and SIM card slot are found on the top edge as well, slightly offset to the right. Small flaps protect both the microSD and SIM card slots. As in the case of the smaller 7-inch Galaxy Tab 2, the 10.1-inch model is available in two flavors – Wi-Fi only and Wi-Fi / 3G. While the other aspects of the tablet may show only a handful of innovations and upgrades, Samsung’s latest tablet features an up-to-date Google operating system, Andoid 4.0.3 Ice Cream Sandwich (ICS). This operating system merges the previously divergent tablet and smartphone platforms into a single system and thus unifies the controls used by the two different device classes. Despite announcements from Samsung regarding an Android 4.0 update for the previous generation of Galaxy tablets, the Galaxy Tab 2 family is currently the only tablet series to offer support for Android 4.0. Samsung upholds its tradition of applying its own user-interface, the Touchwiz interface, to Google operating systems. The 10.1-inch Galaxy Tab 2 uses the Nature UX version introduced with the Galaxy S3. Unfortunately, the Tab 2 lacks the S3’s support for gestures. Useful programs can still be opened using the buttons centered on the screen’s lower edge. This allows the user to access the telephone or note applications quickly. The native screenshot function introduced in Android 4.0 is nothing new for Samsung users. 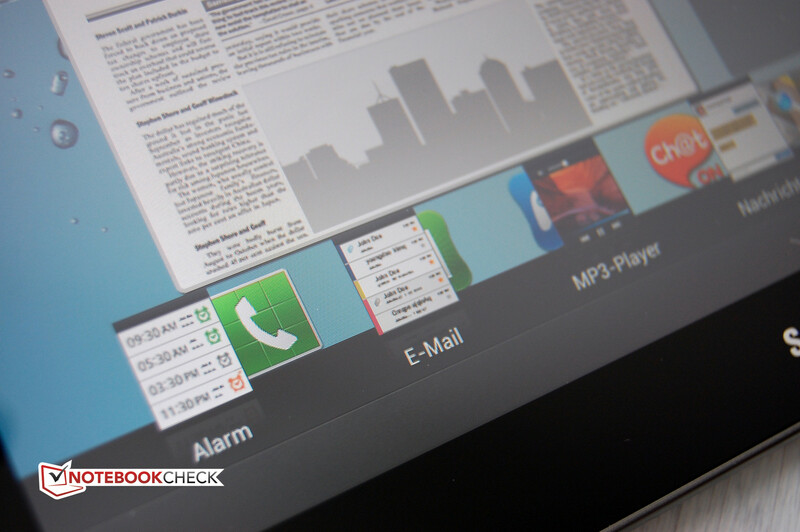 The 10.1-inch Galaxy Tab 2 has integrated screenshot support that can be activated by pressing a button on the screen’s lower left edge. This implementation surpasses Google’s own screenshot method which requires the user to press the power button and volume down rocker simultaneously for approximately 1 second. Unlike competitors, Samsung avoids packaging names such as “Wi-FI + 3G” and instead suggests that Galaxy tablets should naturally have both Wi-Fi and 3G support. Nonethless, Samsung still offers a Wi-Fi version of the Tab 2 that lacks support for the 3G mobile standard. In both cases, the Tab 2 Wi-Fi module supports the obligatory 802.11b/g/n standards. Unfortunately, the built-in antenna only supports the more highly used 2.4 GHz band and not the more available 5 GHz frequency. In our testing, we found the Wi-Fi module to work flawlessly. Using a DSL 16+ connection and a Fritzbox 7390, our sample tablet achieved a download speed of 10.78 Mbit/s and an upload speed of approximately one Mbit/s. By comparison, A PC connected via Gigabit Ethernet managed 12.56 Mbit/s. The Tab 2 also supports the Bluetooth 3.0 standard, allowing the use of Bluetooth peripherals and direct device-to-device wireless data transmission assuming both devices support Bluetooth 3.0. 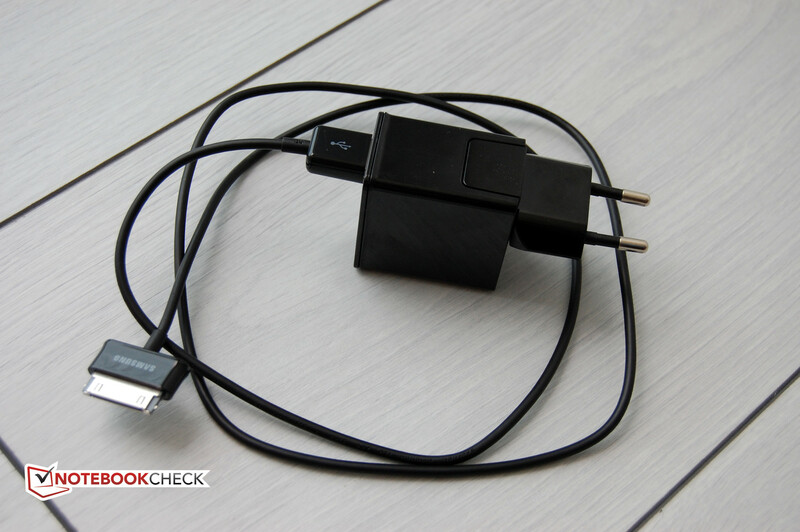 Improved power management is included to help prevent connection issues such as when carrying the device in a bag. The tablet’s SIM card slot accepts standard-sized cards. The 3G module supports HSPA+, currently the fastest UMTS mode. At this time, Samsung has not implemented a model with LTE support. Nonetheless, the theoretical 3G bandwidth of 21 Mbit/s downstream and 5.71 Mbit/s upstream should be more than sufficient for a tablet. 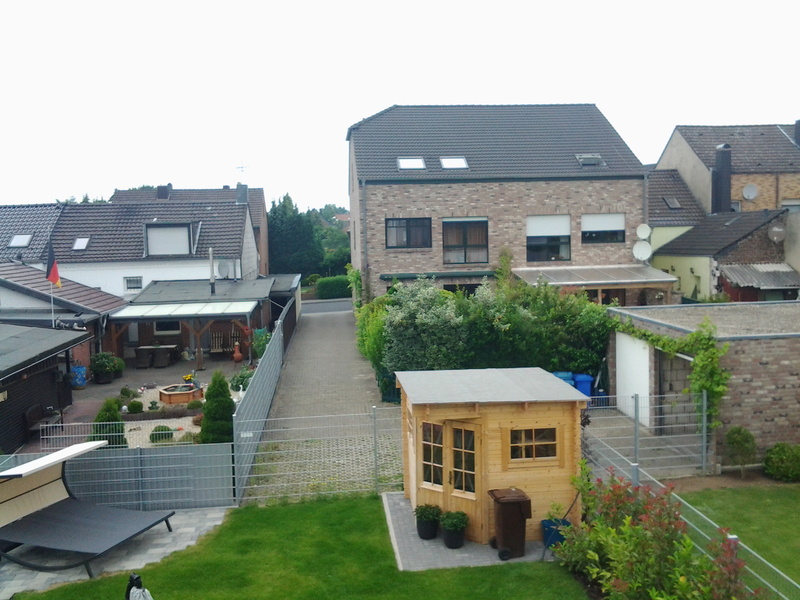 In the reviewer’s residential area, an HSPA download speed of only 3.6 Mbit/s was available and the Galaxy Tab 2 managed to achieve a downstream bandwidth of almost 3 Mbit/s. Ultimately, each user will be limited to the signal strength of the network cell in use. Unlike other tablets with 3G modules, the Tab 2 can be used as a phone. Whereas the 7-inch Tab N did not require one, the 10.1-inch Tab 2 does require a headset which is not included. With either the 7-inch or 10-inch device, one is likely to attract curious looks from onlookers when using the tablet as a phone. We found the voice and audio quality to be good but the speech sounded a bit synthetic. Although standard for most Android tablets, the GPS module requires mentioning as it transforms the device into a portable navigation system and allowed the user to employ many other location-based apps such as local weather reports and searching for services and stores within a certain radius of the user. 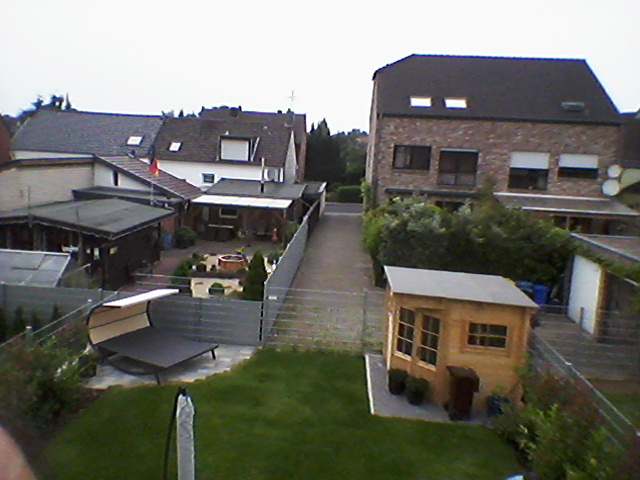 The Galaxy Tab 2 tablet also received a slight modification to its cameras. We carefully use the word “modification” because we found the change to be a downgrade. While the rear-facing camera remained unchanged and relatively uncompetitive with a resolution of 3.2 megapixels, the front-facing camera had its resolution reduced from 2.0 megapixels to a VGA resolution of 0.3 megapixels. This makes the front-facing camera useless for pictures and barely adequate for video chats. While not a big loss in our opinion, the LED flash was removed as well. The rear-facing camera remains useful for taking snapshots but can only do so in bright ambient light. The user must avoid using the digital zoom in order to take reasonably good pictures. In even slight darkness, noise begins to prevail in pictures. We found the 10.1-inch Galaxy Tab 2 to be well-suited for watching movies. The screen showed its strengths, particularly in contrast and black value. The tablet was able to smoothly render Full HD video. We were also able to record video using the rear-facing camera but were limited to a normal HD resolution of 720p. As we lacked an HDMI adapter, we were unable to test the tablet’s performance when playing these videos on an external Full HD screen. 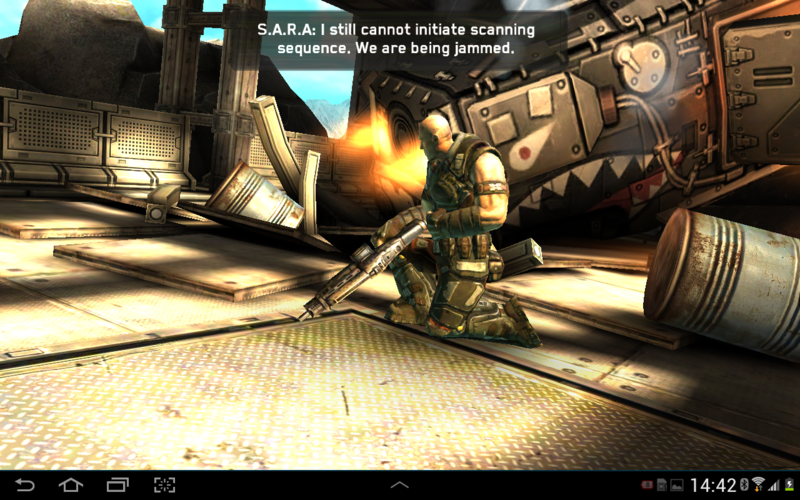 Nonetheless, the Galaxy Tab 2 should be capable of this. The included music player app proved to be convenient and looked good. We appreciated the front-facing speakers. The little speakers provided a good sound with a balanced midrange and treble for a tablet. We subjectively felt that the sound was neither muffled nor tinny. Naturally, the sound lacked bass. The installed CPU and graphics unit identify the Galaxy Tab 2 as a midrange tablet. This places the Tab 2 clearly behind current top models such as the Asus Transformer Tab TF300T and Prime TF201 both of which are based on the Nvidia Tegra 3 platform. 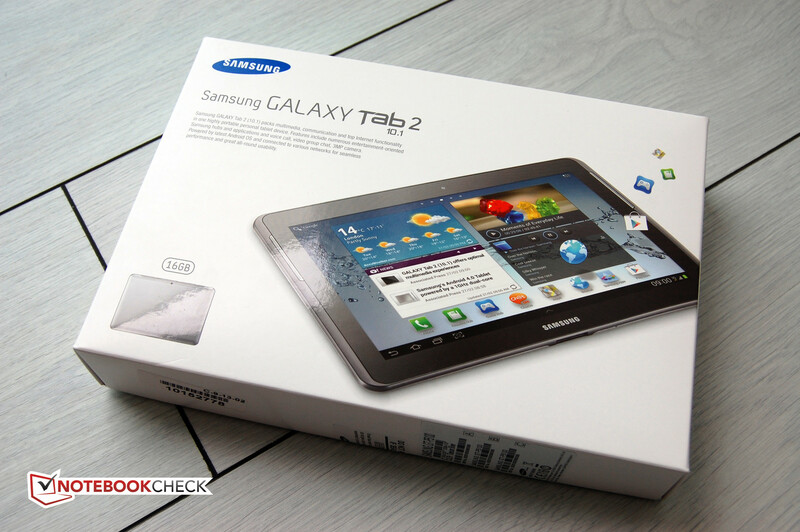 In terms of performance, the closest competitors to the Galaxy Tab 2 are actually Samsung’s older models rather than state-of-the-art tablets. In order to assess graphics performance, we used two games that are both known to be demanding – ShadowGun and Need For Speed: Hot Pursuit. 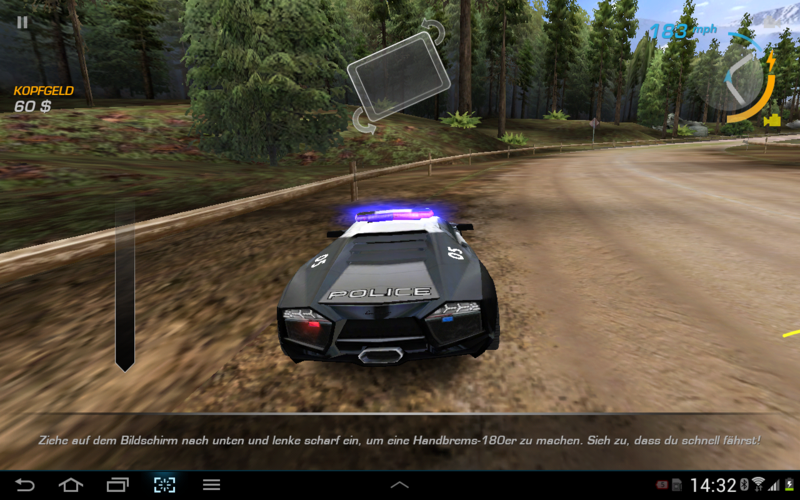 We were able to play both without problems on the Galaxy Tab 2. Nonetheless, the device occasionally stuttered. 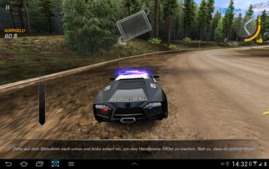 Overall, we believe that all current games in Google’s Play Store can be played on the 10.1-inch Galaxy Tab 2. Entertainment certainly does not suffer due to insufficient graphics performance. The previous generation of Samsung tablets did not have any physical buttons aside from the power button and the volume rocker. The 10.1-inch Galaxy Tab 2 is no different. This philosophy is also apparent in Android 4.0 which has allowed Google to spread the button-free operating concept to both tablets and smartphones simultaneously. The lack of physical buttons makes the touchscreen the sole input device and increases the importance of this already-vital component. Rotating the screen from landscape to portrait was reliable albeit with a slight delay. However this comment borders on nitpicking. Overall, we are very satisfied with the 10.1-inch Galaxy Tab 2’s controls. 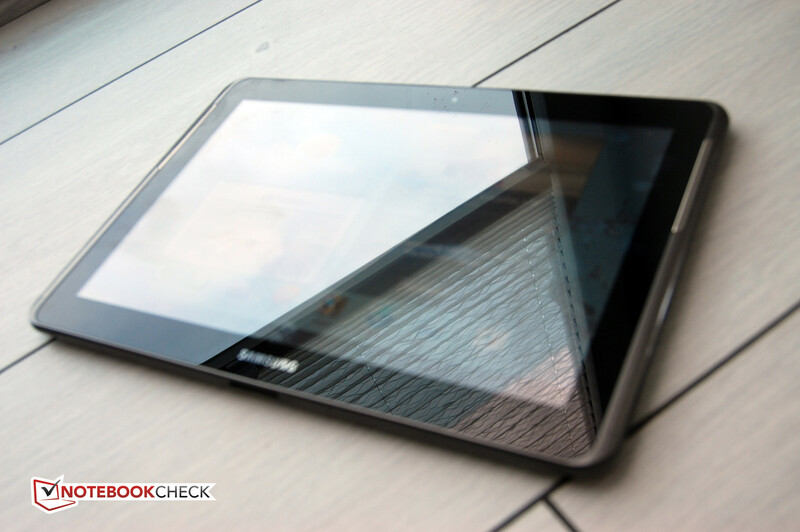 Compared to the Galaxy Tab 7.0 N, not much has changed in the Galaxy Tab 2’s display. Once again, Samsung used an in-house PLS screen with a 1280x800 resolution common for this class of tablets. The smaller seven-inch model uses a 1024x600 resolution and both models share a 16:10 aspect ratio. The display remains capable of multi-touch operation and fingers tend to glide gently, but perhaps not as smoothly as the previous generation. The subjective picture quality impression is good. The colors could however be a bit stronger. On the other hand, both black value and contrast were subjectively good and our lab measurements confirmed this assessment. Compared to the Galaxy Tab 7.0 N, the screen is also brighter. We measured a maximum brightness of 329 cd/m2 representing an improvement of approximately ten percent over the previous generation. Although the Tab 2’s screen is not brilliant, we would still call it very bright. The screen reflects too much in outdoor use. Despite the screen’s improved brightness, outdoor use is still not a strength of the device. The glass touch surface remains too reflective for bright sunlight. This is perhaps a minor issue as almost all available tablets have this common weakness. The only current remedy is to look for a shaded place to make outdoor use more viable. 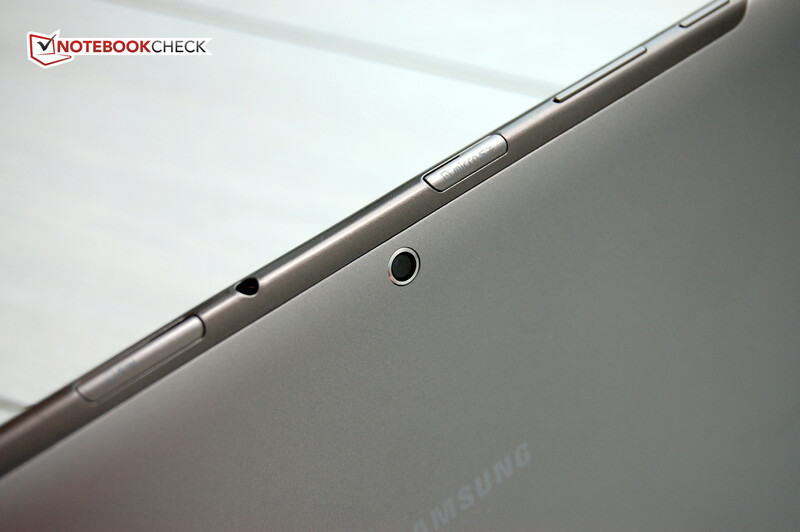 As with all IPS and PLS displays, viewing angle stability is a strength of the Galaxy Tab 2. Colors remained mostly stable even at very acute viewing angles. Samsung’s PLS technology does not demonstrate any major advantages over the normal IPS displays used in the Motorola Xoom 2 and Asus Transformer Tab TF300T. In places, contrast weakened significantly at larger viewing angles. The Tab 2’s color reproduction tended to drift into the blue color space at acute angles. When a company releases an update of a technological device, most customers would expect a considerable performance increase. Samsung, on the other hand, does not hold this philosophy and the 10.1-inch Galaxy Tab 2 does not offer a substantial performance increase over the previous model. 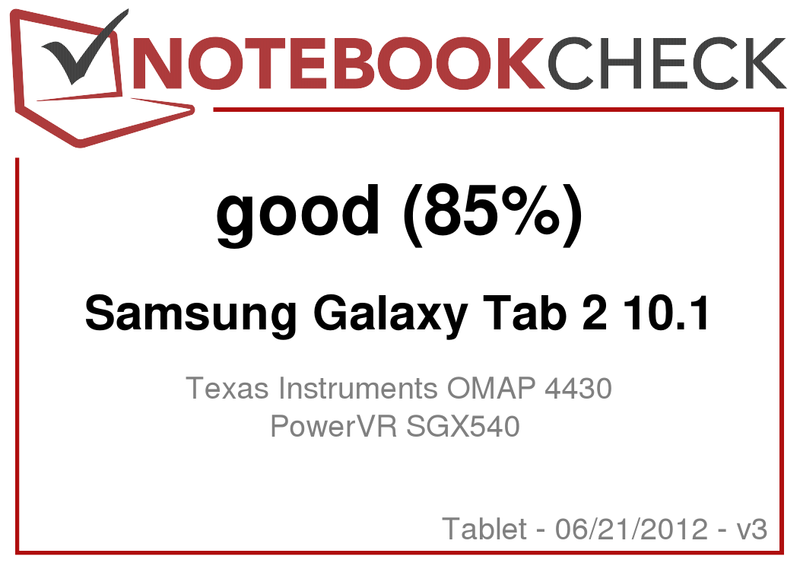 Despite this, the Tab 2 features a sufficiently powerful configuration with its Texas Instruments dual-core OMAP 4430 CPU, 1 GB RAM, and the PowerVR SGX540 graphics unit. These specifications allow the Tab 2 to place itself as middle of the pack in all benchmarks, regardless of whether they are synthetic or browser-heavy. The Tab 2 fell behind the latest state-of-the-art devices based on Nvidia’s Tegra 3 platform and the latest iPad 3. Comparable rivals are the Motorola Xoom 2, Acer Iconia Tab A200, and Lenovo ThinkPad 18382DG. The 10.1-inch Galaxy Tab 2 does not have a fan and the internal components fortunately do not generate any high-pitched whines or humming noises. Even holding the device to an ear, we heard no audible noises. The same applied to the power supply. While quiet, the Galaxy Tab 2 is certainly not one of the cooler tablets. The top never exceeded a temperature of 36 degrees Celsius (97 degrees Fahrenheit) but other comparable devices are often much cooler. We observed a hot spot on the backside’s upper left corner. When under load, such as while playing a game, the tablet reached a temperature of 42 degrees Celsius (108 degrees Fahrenheit). This temperature is non-critical for electronics but can be unpleasant or uncomfortable when in contact with bare skin. The device remained pleasantly cool while idle, the likely prevailing state for a tablet. Even while idle, we noticed that the hot spot on the backside’s upper left corner remained, albeit at the much lower temperature of 33 degrees Celsius (91 degrees Fahrenheit). (+) The maximum temperature on the upper side is 36.3 °C / 97 F, compared to the average of 34.8 °C / 95 F, ranging from 22.2 to 51.8 °C for the class Tablet. To observe power consumption, we created three scenarios and measured power usage in each of these. In the first scenario, we used minimum display brightness and enabled the energy savings mode. We observed a power consumption of 1.9 Watts in minimum idle mode. This idle power consumption was very low and many competing tablets only surpass this in standby mode. Using full brightness and no energy saving options, we measured a maximum idle power consumption of 5.5 Watts, another good result. Lastly, we used the Stability Test app to measure a maximum power consumption of 7.4 Watts. This consumption is particularly impressive for a tablet with a ten-inch screen size. The Galaxy Tab 2 uses a lithium ion battery with a designed capacity of 25.2 Wh. This is a fairly large charge capacity when compared to other tablets. This larger capacity lends itself well to a long battery runtime. In order to test runtimes, we used three scenarios. In our first scenario, we used a highly unrealistic stress test to simulate a worst-case scenario. With maximum brightness and all communication modules activated, we achieved a runtime of 4:25 hours. This demonstrates the significant potential of the 10.1-inch Galaxy Tab 2 as few other tablets can surpass this result. Only the Apple iPad 3 and Lenovo ThinkPad 18382DG tablet have achieved similar runtimes. In a more realistic scenario designed to simulate web browsing via Wi-Fi, we used a brightness of 150 cd/m2 consistent with most daylight environments and enabled energy saving mode. A browser-based script opened a new, randomly selected website every 40 seconds. We measured a very impressive runtime of 11:16 hours. In our last scenario, we set the tablet’s display to minimum brightness and used an automated document reader in the browser. We measured a maximum battery life of 19:05 hours, a very good result. It should be noted that such a result is highly unlikely in practical use. Our runtime analysis clearly reflects both the battery capacity and the low power consumption we measured previously. The Samsung Galaxy Tab 2 showed its efficiency and this greatly increases the small, slim tablet’s degree of mobility. 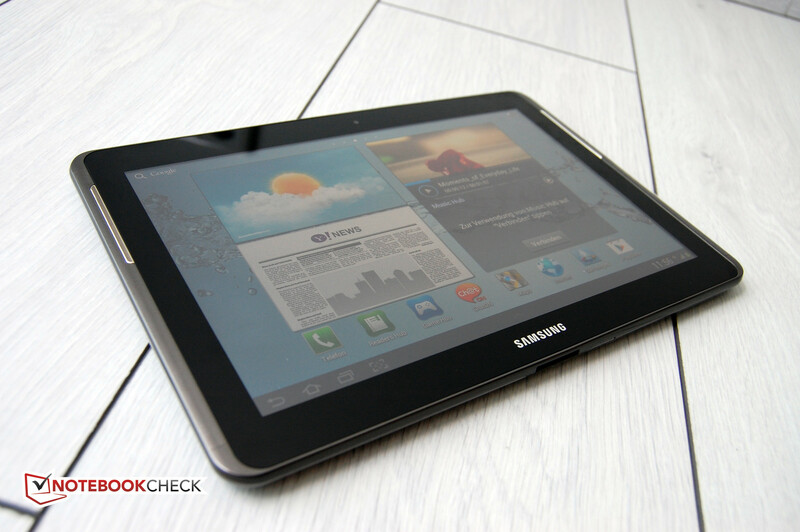 The Samsung 10.1-inch Galaxy Tab 2 is undoubtedly a good tablet. Its components were chosen well and make the Tab 2 a good midrange tablet. We noted a few small issues such as the removed LED flash and the reduced-resolution front-facing camera and found these issues to be tolerable. But the largest issue revolves around one single question. Why did Samsung even release the Galaxy Tab 2 considering that it offers virtually no innovation and no performance improvements over the Galaxy Tab N series? The only conceivable explanation is Android 4.0 Ice Cream Sandwich. As one of the premiere tablet manufacturers, Samsung is obligated to produce tablets with the latest operating system. While this could have been accomplished by updating the similar Galaxy N range, many owners of recent models of Android tablets and smartphones have demonstrated that the upgrade process is hardly trivial. Ultimately, the fact remains that the 10.1-inch Galaxy Tab 2 is a fine tablet and will easily satisfy the requirements of most users. In our testing and review, we found that the Tab 2 possesses high-quality workmanship, a good display, near-perfect operation, a fast 3G module, and an impressive battery runtime. These qualities are tempered by some minor flaws, namely that the cameras are not particularly useful. Based on the above, we find the manufacturer’s suggested retail price of 599 Euro ($749 USD) is too high. This is based on the fact that tablets using the Nvidia Tegra 3 platform – a significantly more powerful platform than the TI OMAP 4430 CPU used in the 10.1-inch Galaxy Tab 2 – are already available at this price. On the other hand, the online price of 450 Euro ($560 USD) is a very fair price for a modern tablet featuring a PLS screen, HSPA+, and Android 4.0. Many readers will want us to answer the question of whether we can recommend the 10.1-inch Samsung Galaxy Tab 2. The answer is a mixed yes and no. If one seeks a state-of-the-art midrange Android tablet, the answer is a resounding yes as one would be well-served with this device. However if one is the owner of the previous generation’s Galaxy Tab N, one can refrain from switching to the current generation. The tablet looks very good. Samsung's mini apps prove useful. The speakers do a good job. Flaps for protecting the slots from dust. The camera has a resolution of 3.2 megapixels but lacks a flash. The multi-purpose port for charging, USB, and HDMI. The camera module is surrounded by microSD and SIM slots. The backside also looks good, but is prone to scratching. We especially liked the long battery life and the very good 3G module. These two factors make Samsung's 10.1-inch Galaxy Tab 2 what it should be: a mobile device. The tablet could use a bit more power. We are baffled as to why Samsung chose the relatively slow TI OMAP 4430 and not its own, stronger Exynos. We are surprised that Samsung chose to add another midrange tablet to the already crowded marketplace and suggests a 599 Euro ($749 USD) pricetag for the unit. Samsung missed an opportunity to create a real bargain with this unit. The 10.1-inch Galaxy Tab 2 must compete with all current 10-inch tablets. These include but are not limited to the Apple iPad 3, Asus Transformer Tab TF300T, and Acer Iconia Tab A200. However, due to its comparatively slow CPU, it also competes against older devices such as the Motorola Xoom 2. Even the predecessor, Galaxy Tab N 10.1, is a dangerous competitor to the Tab 2.